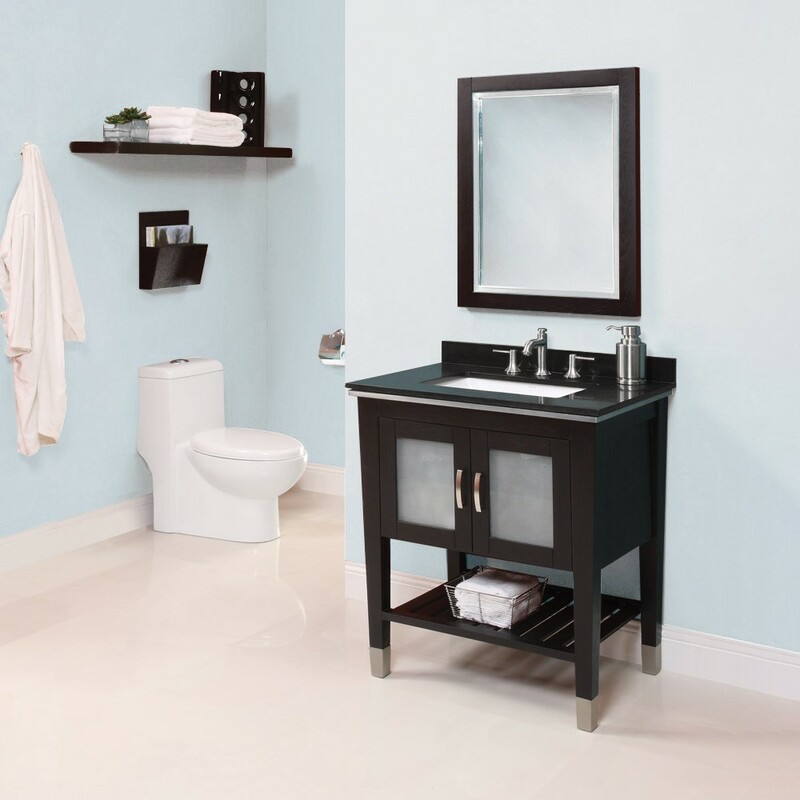 DECOLAV's Briana Vanity is artfully crafted with stainless steel hardware and trim and toe caps. 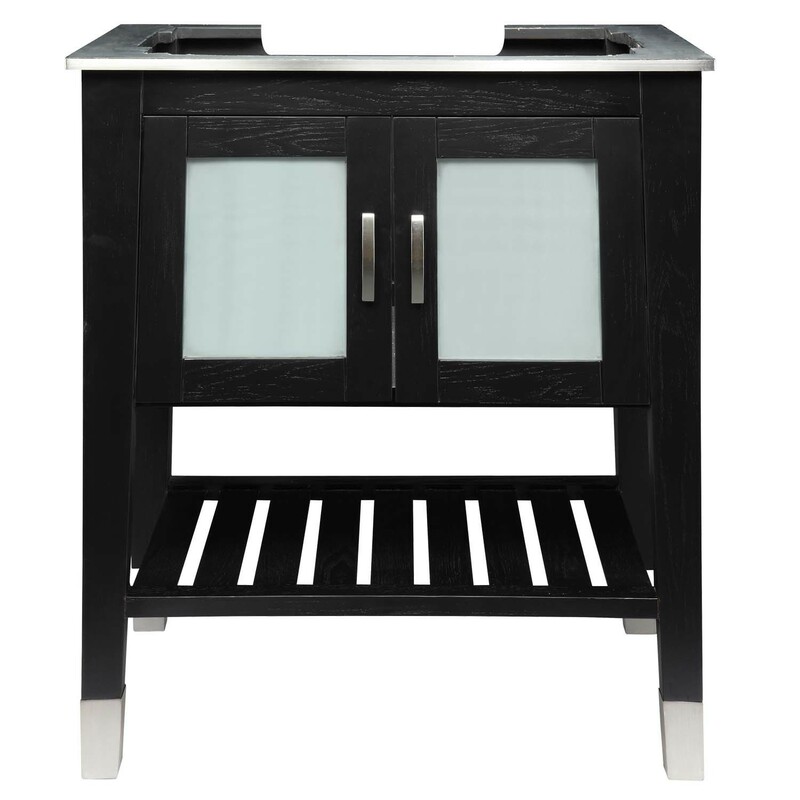 The Briana is offered in black ash or slate finishes. The frosted tempered glass inset doors open to a concealed storage area and shelf allowing plenty storage space. Solid wood frame and legs. Stainless steel accents and hardware. Frosted glass doors. Interior storage cavity. Lower open shelf. Top and bathroom sink sold separately.